Connelly Electric participated in the construction of the new Kennedy King College which is a cornerstone in the redevelopment of the Englewood and West Englewood communities. Connelly Electric was involved in the construction of the 119,000 square foot, 2 story, Athletic and Student Services Building consisting of 2 gymnasiums, swimming pool, café, administrative offices, the center for distant learning, the 90,000 two story Academic and Science Building consisting of 14 science labs, the Campus Site including the athletic field lighting, and the Central Mechanical Plant for the entire 40 acre campus. Connelly Electric installed the 12.47kV medium voltage distribution throughout the entire campus through a series of duct banks, vaults, medium voltage switches, and substations, as well as the telecommunication distribution for the campus. 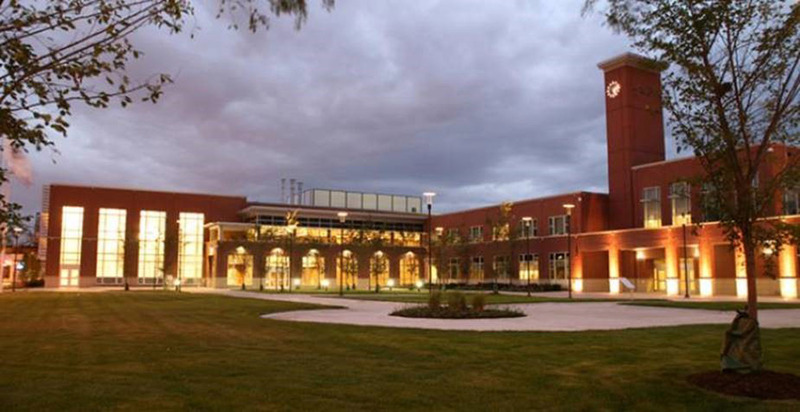 Connelly Electric installed various systems to include lighting control, master clock, paging system, speaker system, voice/data system, lightning protection, fire alarm system with integration with the other campus buildings, and the rescue assistance system. 2 year project with 0 recordable injuries with over 72,000 hours worked.